The University of Minnesota cut ties with both Huawei Technologies and Confucius Institute last month. As US government efforts to restrict American academia's ties to two Chinese organisations gather steam, many of the country's best schools have done just that. Huawei Technologies, the private global Chinese tech giant, and Confucius Institute, a Beijing-linked body that promotes China's language and culture, have been targeted by US lawmakers and numerous federal departments for very different reasons, but the American government believes both undermine its interests. Huawei, which now makes headlines daily owing to Canada's detention of the company's chief financial officer at Washington's request, rapidly emerged as a global competitor to US tech giants including Cisco Systems and Apple. Confucius Institute's direct ties to the Chinese central government have sparked complaints from American professors, who saw in the organisation a soft-power play to curtail academic discussion of subjects that Beijing tries to bury. Stanford University, University of California's flagship Berkeley campus, and other schools made their decisions to cut ties with Huawei quietly, with media reports about them trailing internal announcements by days or weeks. But many others, including Harvard University, are still mum. The silence within academia about their connections with Huawei and Confucius Institute may signal an inability to assess the legality of these ties and the consequences of declaring a break with them. These decisions are being made in a political climate of growing concern and suspicion about China, encouraged by the Trump administration, during a trade war and national security debate that have brought Washington-Beijing relations to a low ebb. Details about Huawei's involvement with US universities and the US government's response are "moving very fast for [the schools] and they have real equities involved, and the terms of this debate haven't yet been defined", said Robert Daly of the Kissinger Institute on China and the United States at the Washington-based Woodrow Wilson Centre. "During the past 30 years, universities have signed hundreds of MOUs [memorandums of understanding] with Chinese organisations and most of them don't mean anything and don't go anywhere. Nobody tracks them. They've done them out of general good will as they decided to be international universities in the period of engagement," Daly said. Engagement with China is perhaps the only current political issue uniting Republicans and Democrats. Unfortunately for schools with China ties, Washington is united against these connections. Huawei's primary connection to American universities is through the Huawei Innovation Research Programme (HIRP), which the company calls a global initiative "to identify and support world-class, full-time faculty members pursuing innovation of mutual interest". Of 10 US universities cited as collaborators or partners in a 2017 presentation about HIRP, seven - including Yale, Harvard and Carnegie Mellon universities - did not respond to multiple requests from the South China Morning Post for details about their involvement in HIRP or other ties to Huawei. Cornell, Princeton and Stanford responded. "After concerns were articulated by the US government about Huawei Technologies last year, Cornell University identified a handful of existing research agreements with Huawei, representing a fraction of the more than 150 such partnerships the university maintains with outside businesses throughout the United States and around the globe," John Carberry, Cornell's senior director of media relations, said in an email. "In each instance, the university carefully reviewed the projects in question to confirm that appropriate safeguards were in place to address data and information security, to protect the independence of our research and to comply with all federal and state laws and regulations," Carberry said. Princeton cut new funding ties with Huawei last year, said Ben Chang, the school's director of media relations, and in January "informed Huawei we would not accept the third and final $150,000 (S$203,000) instalment of a gift in support of computer-science research, which was our only active Huawei-supported project". 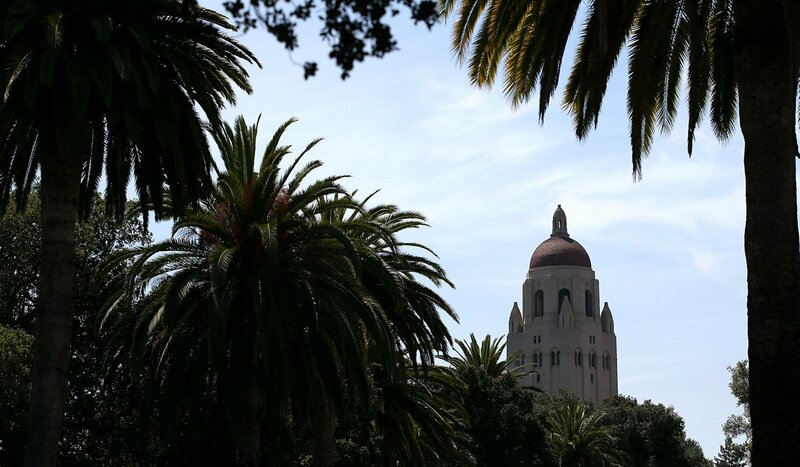 Stanford "has established a moratorium on new engagements, gifts, affiliate membership fees and other support from Huawei", the school said in an email. Harvard no longer has relationships with Huawei after the company's funding of two faculty members ended, according to a person familiar with the situation, who requested anonymity because of a lack of clearance to speak publicly on the matter. The timing for these severances is unclear. The University of Illinois at Urbana-Champaign, University of Chicago, University of California-Los Angeles, Massachusetts Institute of Technology - all cited by Huawei as HIRP collaborators - did not respond to requests for comment. Meanwhile, efforts to cut Huawei's other relationships to American academia continue. The Protect Our Universities Act, introduced last week by Representative Jim Banks, an Indiana Republican, would establish a task force, led by the US Department of Education, to maintain a list of "sensitive" research projects, including those financed by the Defence and Energy departments and US intelligence agencies. The proposed body would monitor foreign student participation in those projects. Students with past or current Chinese citizenship would not be allowed access to the projects without a waiver from the director of national intelligence. The act also calls for the intelligence director to create a list of foreign entities that "pose a threat of espionage with respect to sensitive research", and stipulates that Huawei be included. No evidence has surfaced that Huawei has given the Chinese government advanced US technologies that could be deployed militarily or otherwise threaten American security interests. Even so, US lawmakers are acting on the theory that this is China's intent. A US Defence Department report first circulated to Congress in 2017 focused on efforts by Huawei and other Chinese tech companies to acquire technology through collaborations with American universities. The report catalysed the rare bipartisan consensus that these ties need monitoring. Congress passed legislation last year to strengthen the federal government's oversight of foreign investment in the US tech sector - a move directed at Chinese companies. Still, no similar action has been taken yet in academia, where Huawei collaborations have surged in recent years. 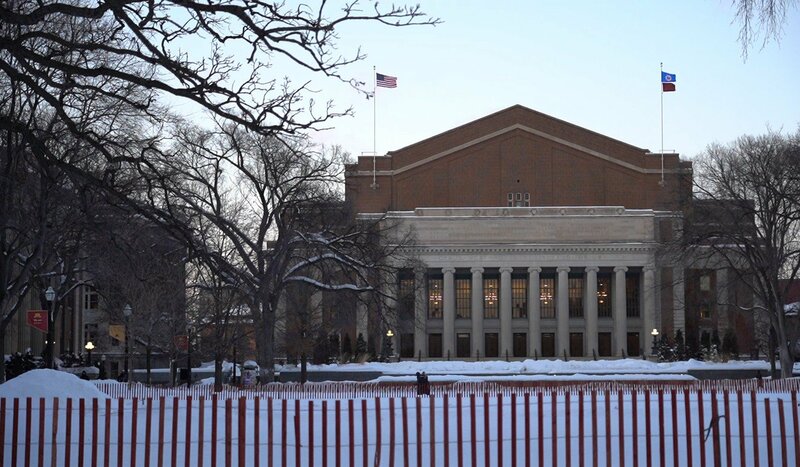 The University of Minnesota, considered one of America's "public Ivies" - a state-funded university rated on par with many of the country's best private colleges - cut ties with Huawei and Confucius Institute last month. "Huawei moved from being a company that had not supported research really at all in the US universities to one that was spreading around a significant amount of money at a significant number of universities. That got them a lot of notice," said Joseph Konstan, associate dean for research at University of Minnesota's College of Computer Science and Engineering. "I think there was from many people hope that they would become another major funder of work in this field, much as large companies like Google or Microsoft have had a history of being large funders in computing and communications technology and Google and Microsoft - they are also here at home." Konstan said he did not know whether research collaborations with Huawei created risks for US companies or national security, but said the decision made sense as long as Huawei is under federal indictment for espionage. Minnesota isn't the first university to cut ties with Huawei and Confucius Institute, and will not be the last, said James Lewis, a former foreign service officer who is now a senior vice-president at the Washington-based think tank Centre for Strategic and International Studies. More than just the current case, Lewis said, "Huawei's track record is deeply troubling to the US government." He cited several lawsuits charging Huawei with corporate espionage, including a federal civil case brought by Motorola that was settled in 2011 for undisclosed terms. Court filings in that case described one defendant who was stopped by customs officials before a flight to Beijing with "over $30,000 dollars in cash" and "more than 1,000 electronic and paper documents identified as the property of Motorola, including valuable, proprietary information and trade secrets". The lawsuit described a years-long effort to steal Motorola technology that allegedly helped Huawei develop and market advanced cellular base stations. 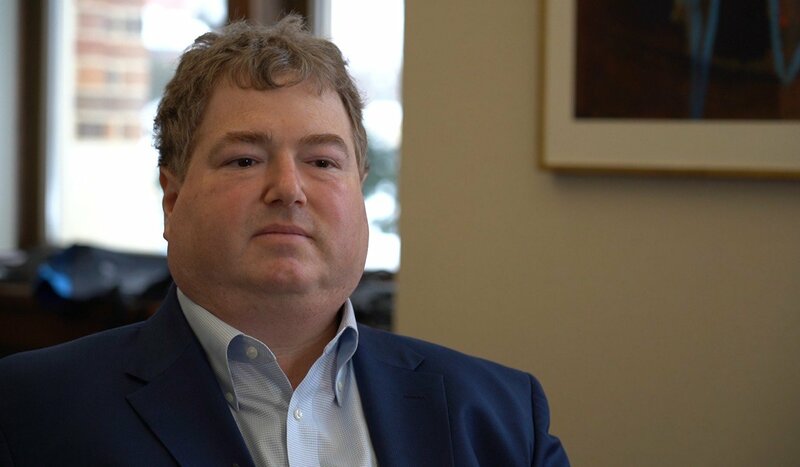 Konstan said all results of research projects funded by Huawei through gifts to the University of Minnesota Foundation were made public, limiting the ability of Huawei to acquire advanced technology through this channel that could be used to threaten American corporate or security interests. David Du, director of the multi-university Centre for Research in Intelligent Storage (CRIS), of which University of Minnesota is a member, made a similar point. Huawei is one of the centre's nine corporate sponsors, along with Intel, HP and other global tech firms. Each sponsor gets equal access to the research results, making it difficult for Huawei to win any advantage over competitors. "We follow exactly the regulations of the US National Science Foundation, and the goal of the centre is working together with industry to do research. It doesn't matter if you're a foreign company or a domestic company," Du said. "Since this is totally open, there's no trade secrets or special technologies not shared with" CRIS's American corporate sponsors. Lewis of CSIS disagrees, noting that only research project results become public. Working with individual researchers, sponsors of CRIS and other academic research consortiums theoretically have access to data sets and other information generated by a research project that never make it into the final report. "The published product doesn't cover the entire scope of work," Lewis said. "So there's a real concern that Huawei's involvement and the presence of Chinese researchers is a source of illicit technology leakage." Whether Huawei or other sponsors have acquired marketable technologies through CRIS, graduate students striving to further their computer science careers can get caught in the middle. And, as Lewis suggests, Chinese students are more vulnerable to the stigma. 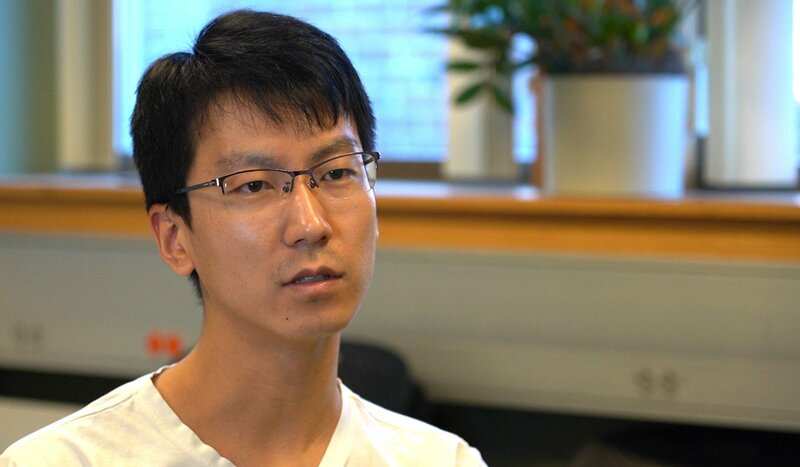 "We made very clear to [our sponsors] from the beginning that all projects and research results will be shared among all of us," said Zhang Baoquan, a University of Minnesota doctoral student originally from Tianjin, whose work on advanced data storage systems is financed by Huawei through CRIS. "We ask [all CRIS sponsors] to not share anything concerning trade secrets or patented information. We asked Huawei to do the same." The Huawei ban "is challenging our values", Zhang said. "We used to think the US is an open and inclusive society. Many of us want to stay in the US because of these values. "But these tensions and the sanctions against Huawei have raised some doubts. Perhaps the situation is not what the US promotes itself to be." Konstan acknowledges that a new climate of suspicion has had an effect on campus. "There is a mix of different feelings here," Konstan said. "This is a university that has a very long and deep set of relationships with China, and we have no interest in stopping that relationship with China. I've talked with students from China who are concerned … about their future here." Confucius Institute - which operates under the auspices of the Chinese Ministry of Education's Chinese Language Council International, also known as Hanban - has drawn US scrutiny for operating with what critics call a lack of oversight by their host institutions. Confucius Institute (CI) has provided financial and other resources for more than 100 colleges and elementary schools teaching Chinese language and culture. But a clause in the most recent US defence budget will probably shrink that number. A new requirement says that no institutions receiving funding from the Pentagon can host a Confucius Institute. University of Minnesota must close its institute because its credit-bearing Chinese Language Flagship Programme is financed by the Defence Department. Washington fears that Hanban is using instructors selected by the Chinese government to present China in a positive light and to squelch any classroom discussion of sensitive topics such as the treatment of Uygurs in China's Xinjiang province, Tibet's religious freedoms or Taiwan's de facto independence from China. "Even if universities don't get DoD funding they're not compelled [to cut ties], but they're probably reading the tea leaves," Lewis of CSIS said. At least seven US universities closed their Confucius Institutes around the time the National Association of Scholars (NAS) produced a 2017 report largely critical of the amount of control Hanban has over the instructors and teaching materials used in CI classrooms. The report, "Outsourced to China: Confucius Institutes and Soft Power in American Higher Education", cites many examples of Hanban's control over the selection of CI teachers dispatched to host universities and agreements between Hanban and these schools to keep their contracts private. It does not, however, produce any evidence that the teachers are under orders to avoid particular topics. Moreover, the NAS report found, "there is no positive proof that the institutes are also centres for Chinese espionage against the United States, but virtually every independent observer who has looked into them believes this to be the case". The Government Accountability Office, which commissions research reports for Congress, completed a report on Confucius Institutes last month that also failed to turn up any smoking guns, and suggested that many of the accusations about their activities were unfounded. Still, schools are facing increasing pressure to close the institutes. When it comes to discussing relationships with Huawei or Confucius Institute, "from their point of view there's no upside to this. They know that this is a highly publicised issue," said Oriana Skylar Mastro, assistant professor of security studies at Georgetown University and a visiting scholar at the American Enterprise Institute. "Confucius Institutes are programs supervised and run by and within the American host universities, so it would not be possible, e.g., for the university to not give itself enough autonomy," said Gao Qiang, executive director of Confucius Institute US Centre. "Also, to my knowledge, Hanban has been reiterating the American host universities have full authority." "I am hopeful that Confucius Institute colleagues will continue their important educational efforts with dedication and integrity to cultivate intercultural competence and provide life-changing global educational opportunities to our students they otherwise cannot receive," Gao said. Business as usual for CI at American universities will be difficult, though. "They know there are aspects to this that they don't understand. Until they have a clearer idea of where they fall on the spectrum of not so bad to very bad," Mastro said, they will prefer to stay quiet.